You could see lower costs for cooling and heating. Your home could really stand out in the neighborhood. Your replacement windows will last for a number of years. Working with Siding & Windows Group is a great choice when you want windows in Palatine. We will make sure you get a high level of quality and excellent service you can rely on. Get in touch, so you can get started today. 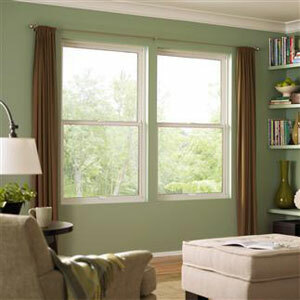 Fiberglass Windows – these offer many advantages and are very durable. They are strong and they insulate well, along with being resistant to condensation. Vinyl Windows – windows that match your home’s aesthetics are generally going to be vinyl, because you can choose from textures and colors. You can also get custom-built options, so your Palatine windows fit properly and provide you with the energy efficiency and quality you expect. Wood Windows – we can also help you with wood window installation, as these windows are classically beautiful. They also require very little maintenance, are durable, and are easily repaired. The strong thermal insulating properties of wood windows help your home stay comfortable throughout the changing seasons. Exceptional workmanship and a high level of quality you can appreciate for years to come. An award-winning company with recognition from the BBB, the GuildMaster Award, and the Angie’s List Super Service Award. Are you ready to upgrade your windows? Contact the Siding & Window Group today. Your free, in-home estimate is waiting for you, and our professional installers can help make your home look and feel new again. The workmanship, the staff, and the design teams were exceptional, professional and courteous. I am thrilled with our project.